We have either have had our smartphones stolen or know someone whose phone was stolen. While the economic and emotional loss is enough to cause us anguish, the loss of precious data stored on the device is even more painful. There are tales of stolen smartphones, and on trying to track the devices, they find them in a different country or continent. In other instances, as happened with our own Emmanuel Chenze with his Samsung Galaxy S5, the devices are never found. This may be soon, a thing of the past, if a law enacted in California is implemented World Over. The law requires all the devices sold in California come with a “brick or kill switch” option which slashes the value of the device if stolen and resold on the black market. The devices will during set up enable the feature, giving you the ability to log onto your device, wipe it and render the device unusable. Interestingly, smartphone thefts have been on a sharp decline since 2013 from 3.1 million to 2.1 million in 2014 registering a 32% decline. The introduction of the same means theft will decline further. Most smartphone manufactures such as Apple and Blackberry have been implementing such features, meaning the effecting of the same is not limited to the American market but worldwide where they sell smartphones. The iPhone introduced the feature on all devices running on iOS 8, giving smartphone users the ability to remotely wipe and secure their devices for years after they have been stolen. Blackberry is to introduce the feature in an update of its OS to BB 10.3.2, which will allow one to disable a lost or stolen BlackBerry 10 device meaning muggers cannot reactivate or wipe off your Blackberry device rendering it unusable. 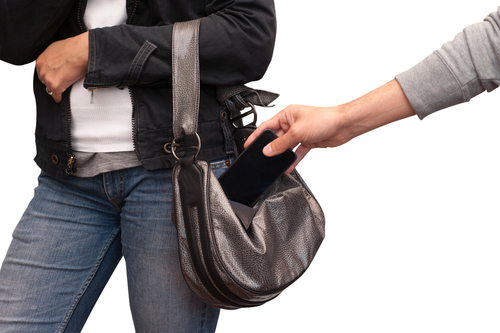 In addition, the owner of the stolen device will be able to send a message to the screen of the missing phone asking the user to return the stolen phone. if the device is at a close proximity, the device can create a noise and location traced. Android has also not been left behind adding device protection feature on Android 5.1 codenamed Lollipop that requires signing to the last Google account after the device is wiped out. I managed to unlock an iphone 5 that was locked on icloud (purely educational project) but could not get carrier to work. That was last year. This year, I have a Tecno p5+ that has a kill swith (they call it mobile anti-theft), or a security feature that I swear I could not penetrate. Lucky enough it was my phone and had to ask my brother to send a certain code message to my phone for him to get an anti-theft code, and send it back to me (I was now using another phone). I was impressed. Even after wiping the phone, it still requested a code.